This entry was posted in Blog, Healthy Living, Lifestyle, Narcissistic Abuse and tagged abuse, emotional abuse, Narcissism, Narcissistic Abuse on March 11, 2019 by Toni Pike. This entry was posted in About Toni Pike, Blog, Dead Dry Heart, How To Write A Novel, Jotham Fletcher Series and tagged #reading #thrillers on January 9, 2019 by Toni Pike. Sally Cronin has released a wonderful new book. This entry was posted in Blog on October 3, 2018 by Toni Pike. This entry was posted in Blog, Healthy Living, Lifestyle, The One Way Diet and tagged Lifestyle, lose weight, weight gain, weight loss on September 30, 2018 by Toni Pike. This entry was posted in Blog on September 20, 2018 by Toni Pike. Sally Cronin has included D.G. Kaye’s review of DEAD DRY HEART in her wonderful new series which puts the focus on those who work so hard to write book reviews. This entry was posted in Blog on August 6, 2018 by Toni Pike. This entry was posted in Blog, Dead Dry Heart, Reviews and tagged Dead Dry Heart, Reviews, thriller on August 5, 2018 by Toni Pike. 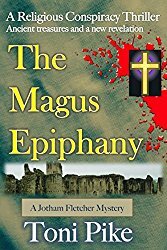 THE MAGUS EPIPHANY, Book 3 in The Jotham Fletcher Mystery Thriller Series, will be free for 48 hours only on 15-16 JUNE 2018 (USA Pacific Time). Just click on the links below to download a copy. 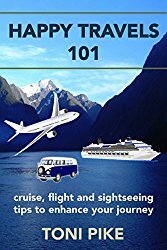 I’d be very grateful if you would leave an honest review on Amazon when you finish reading it. Happy reading! I can’t wait to hear what you think. This entry was posted in Blog, The Magus Epiphany and tagged free books, freebie, magus epiphany, thriller on June 15, 2018 by Toni Pike. This entry was posted in About Toni Pike, Blog, Holy Spear of Magus, Jotham Fletcher Series and tagged holy spear, Jotham Fletcher, magus, mystery, new release, thriller on February 11, 2018 by Toni Pike. Holy Spear of Magus – just released! I’m proud to announce that HOLY SPEAR OF MAGUS, the fourth book in The Jotham Fletcher Mystery Thriller Series, has just been released. Jotham Fletcher returns in another non-stop adventure, and this time he must fight to stop the Holy Spear falling into the wrong hands. There are now four books in the series: THE MAGUS COVENANT, THE ROCK OF MAGUS, THE MAGUS EPIPHANY and HOLY SPEAR OF MAGUS. While they can be read as stand-alone stories, I definitely recommend that you read them in sequence to understand all the background details and follow the continuing story of Jotham Fletcher and the other characters. This entry was posted in Blog, Holy Spear of Magus, Jotham Fletcher Series, The Magus Covenant, The Magus Epiphany, The Rock of Magus and tagged Blurb, Book Series, Ebook, Jotham Fletcher, novel, religious thriller, thriller on February 4, 2018 by Toni Pike. Next week, I hope to share my New Year Resolutions, but first I’ll be spending a few days with my closest family and some dear friends. Thank you so much for your friendship and support throughout the last year. This entry was posted in About Toni Pike, Blog, Lifestyle on December 21, 2017 by Toni Pike. This entry was posted in Blog, Healthy Living, Lifestyle, The One Way Diet and tagged exercise, health, inspiration, Lifestyle, New Year Resolutions, Paperback, weight gain, weight loss on December 19, 2017 by Toni Pike. I’m pleased to announce that THE ONE WAY DIET has just been released. Are you already thinking about your New Year’s Resolutions? If one of those is to lose some weight, then this is the ideal starting point. Although based on my own experience, this book is more about you, the reader, and how to cope with every aspect of your weight loss journey. This entry was posted in About Toni Pike, Blog, Healthy Living, Lifestyle, The One Way Diet and tagged burn fat, diet, how to lose weight, lose weight, weight loss on December 16, 2017 by Toni Pike. This entry was posted in Blog, Jotham Fletcher Series, The Magus Covenant, The Magus Epiphany, The Rock of Magus and tagged Amazon, biblical thriller, ebooks, Jotham Fletcher, mystery, Paperback, thriller on November 21, 2017 by Toni Pike. Many thanks to Chris Graham from The Story Reading Ape Blog for publishing my article: 13 Things to do after publishing your next book. This entry was posted in Blog, From other sites, How To Write A Novel, Toni's Writing Tips, Writing Guide, writing tips and tagged publication, social media, writers to do list, writing on May 6, 2017 by Toni Pike. I was thrilled to have “The Magus Epiphany” featured on The Story Reading Ape Blog. Many thanks to Chris Graham for his wonderful support and inspirational website. This entry was posted in About Toni Pike, Blog, Jotham Fletcher Series, The Magus Epiphany and tagged Ebook, new release, thriller, thrillers on March 1, 2017 by Toni Pike. The Magus Epiphany will be the third book in The Jotham Fletcher Mystery Thriller Series, and I’m excited to reveal the cover for the first time! 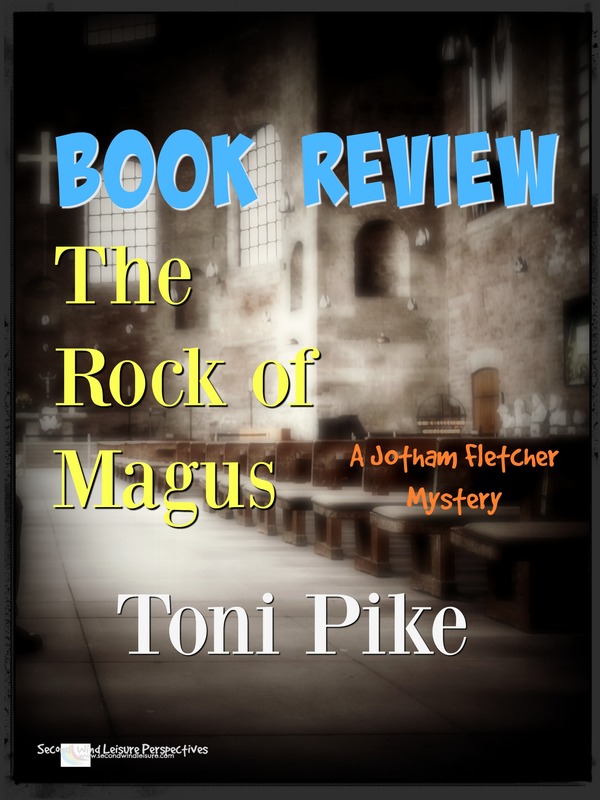 This entry was posted in Blog, Jotham Fletcher Series, The Magus Covenant, The Magus Epiphany, The Rock of Magus and tagged Book Series, Cover, Cover Reveal, thriller, Toni Pike on January 31, 2017 by Toni Pike. This entry was posted in Blog, How To Write A Novel, Toni's Writing Tips, Writing Guide, writing tips and tagged literature theme, novel meaning, novel theme, story meaning, story theme, theme on January 23, 2017 by Toni Pike. This entry was posted in Blog, From other sites on January 1, 2017 by Toni Pike. 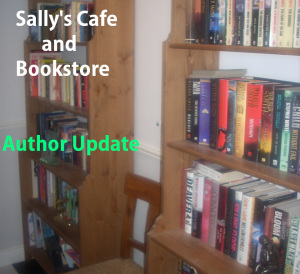 So honoured to be a featured writer on Sally’s Cafe and Bookstore this week – along with wonderful writers Marcia Meara and Susan M. Troy. Don’t miss their books for those last-minute Christmas gifts this week. This entry was posted in Blog and tagged Author Interview, conspiracy thrillers, religious thrillers, The Jotham Fletcher Mystery Thriller Series, Toni Pike on December 20, 2016 by Toni Pike. This entry was posted in About Toni Pike, Blog, Jotham Fletcher Series, Toni's Writing Tips and tagged author business cards, authors promotions, business cards for authors, do authors need a business card, market your novel, marketing your book, promote your book, promoting your book, ways to promote your book on December 6, 2016 by Toni Pike. This entry was posted in About Toni Pike, Blog, Jotham Fletcher Series, The Magus Covenant, The Rock of Magus and tagged #vatican, conspiracy, Dan Brown, Ebook, Jotham Fletcher, magus, Magus Covenant, mystery, mystery thriller, Simon Magus, Simonian, Steve Berry, The Rock of Magus, thriller, Toni Pike on November 27, 2016 by Toni Pike. This entry was posted in Blog, How To Write A Novel, Jotham Fletcher Series, Toni's Writing Tips, Writing Guide, writing tips and tagged benefits of reading digital books, benefits of using a kindle, ebooks, ereaders, how to read ebooks on November 1, 2016 by Toni Pike. This entry was posted in Blog, How To Write A Novel, Toni's Writing Tips and tagged Author, inspiration, writing on October 4, 2016 by Toni Pike. Here is the first chapter of The Magus Covenant – Book 1 in The Jotham Fletcher Mystery Thriller Series. It is available at all Amazon outlets. 3 more books in the series have already been released. This entry was posted in Blog, Jotham Fletcher Series, The Magus Covenant, The Rock of Magus and tagged Jotham Fletcher, Magus Covenant, thriller, Toni Pike on September 27, 2016 by Toni Pike. This entry was posted in Blog, How To Write A Novel, Jotham Fletcher Series and tagged Author, health, thriller, Toni Pike, writing on September 6, 2016 by Toni Pike. This entry was posted in Blog, Lifestyle, Love, Health and Wealth, Travel and tagged Bakewell, Derbyshire, England, Haddon Hall, Jotham Fletcher, Magus Covenant, Peak District, suspense, thriller, travel on June 16, 2016 by Toni Pike. This entry was posted in Blog, The Magus Covenant and tagged Christian, Ebook, Italy, Magus Covenant, review, Rome, thriller, Toni Pike on June 15, 2016 by Toni Pike. The Magus Covenant recently received a 5 star rating on Reviews by Karen. This entry was posted in Blog, The Magus Covenant on June 12, 2016 by Toni Pike. This entry was posted in Blog, Lifestyle, Love, Health and Wealth, Travel and tagged Avebury, Toni Pike, travel, Wiltshire on June 7, 2016 by Toni Pike. This entry was posted in Blog, Toni's Writing Tips and tagged Story Outline, thrillers, writing a novel on April 24, 2016 by Toni Pike. On 3 May 2016, I was thrilled and honoured to be interviewed by Sally Cronin as part of her new Sunday Show called Smorgasbord Open House. It will feature a series of authors, blog writers, poets, artists and musicians. 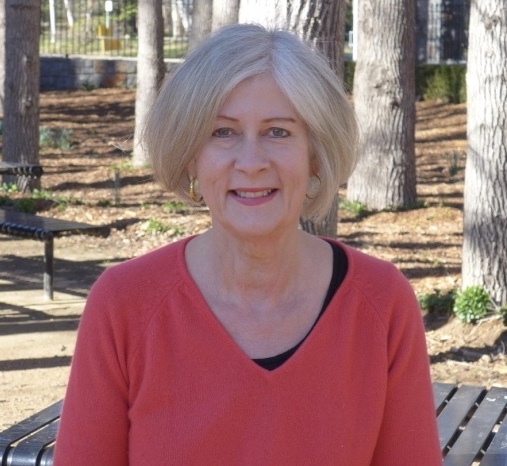 This entry was posted in About Toni Pike, Blog, The Magus Covenant and tagged Author, interview, thriller, Toni Pike on April 3, 2016 by Toni Pike. This entry was posted in About Toni Pike, Blog, The Magus Covenant and tagged interview, Jotham Fletcher, thriller on February 26, 2016 by Toni Pike.